Handlebar gel foam grips with lock-on anti-twist clamp, for standard handlebars (grip area Ø 22.2mm), width: 130mm, colour: black. 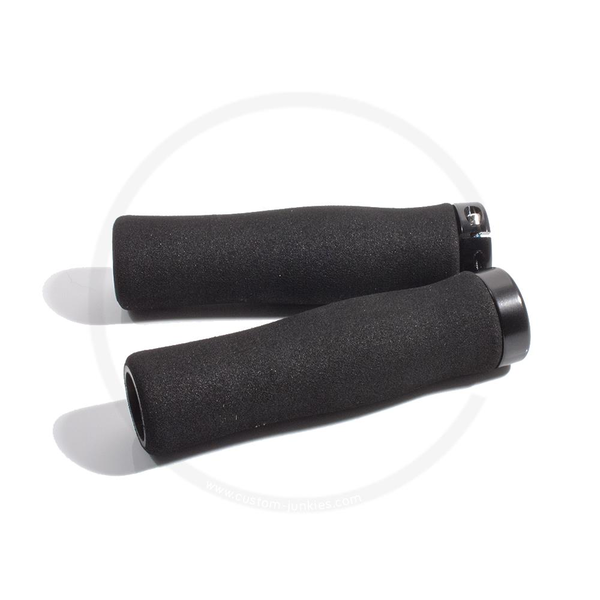 Scope of delivery: 1 pair of grips incl. 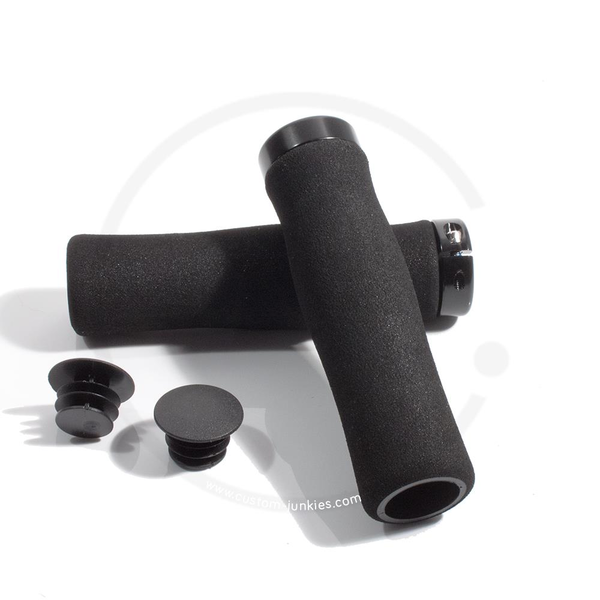 handlebar end plugs (plastic, black).